What are some applications of Testo's thermal imagers? Testo's updated line of thermal imagers – the 865, 868, 871 and 872 – are amongst the most innovative and fully featured devices we've ever introduced, and can make the working day for HVAC professionals run much more smoothly. There are several ways in which a thermal imager can be used on the job site, all important elements of working with HVAC equipment. We've outlined some of the key applications of our new devices below. Thermal imagers can help with preventative maintenance. One of the primary tasks of HVAC technicians is to identify potential issues before they can evolve into serious concerns. Being able to detect damage early can not only save money for maintenance down the line, but can ensure the system is safe for your customers and providing a comfortable environment for them to live and work in. All of Testo's thermal imagers can easily detect hotspots, critical heat conditions in the system that can cause problems. Hotspots can occur among the electrical components of the HVAC system or in the engines shafts and bearing that drive it, so being able to identify them quickly allows technicians to address the problem before damage is caused. There are several ways in which a thermal imager can be used on the job site. A common issue that can arise in HVAC systems is mould growth, due to the formation of condensation inside the machinery. This is not only an issue in terms of damage to the inner workings of a unit, but can also present serious health risks. Testo's thermal imagers can also calculate the surface moisture value for measuring points, allowing users to preemptively identify mould growth before it actually manifests itself. Structural defects in a building are obviously a huge concern, potentially putting anyone inside the structure at risk. 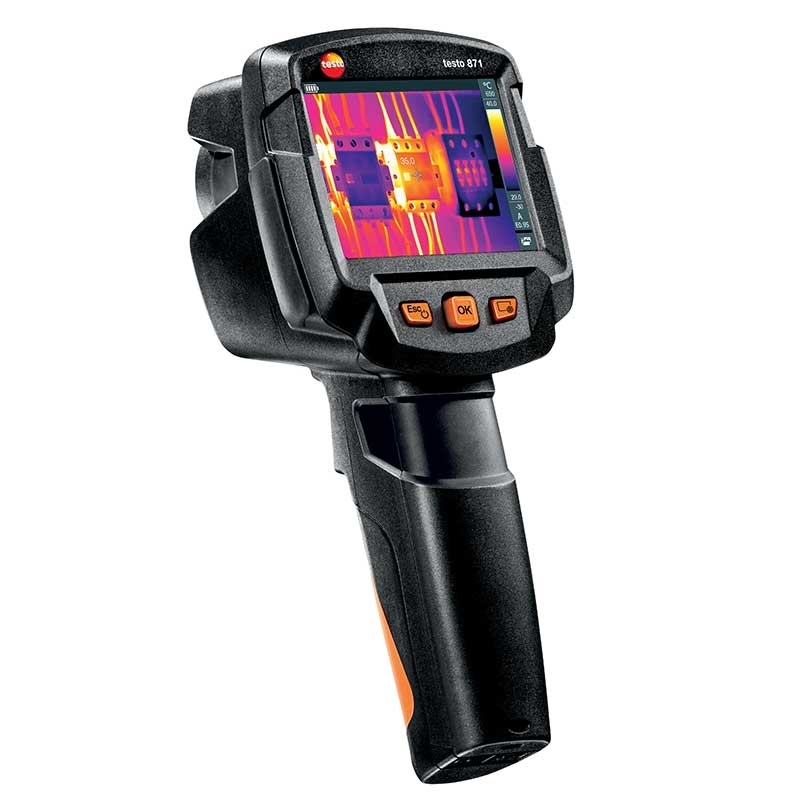 Testo's thermal imagers can help to reveal any issues, with any sources of heat loss, excess humidity and lack of air tightness are all visible, indicating any faults with thermal insulation or construction. Even if any issues discovered aren't severe enough to warrant any major repairs or construction work, seemingly minor faults can have an impact on the energy efficiency of a building, especially with regards to heating and air conditioning. Being able to identify the problem early can halt further damage in its tracks, and ensure the structure isn't suffering from poor insulation. These are just a few examples of how Testo's new thermal imagers can be of use. Get in touch with our team today for more information.